Everyone's A Winner race patron Senator Dr Floyd Morris (second left) and his guide Donovan Jacas (right) collect their second-place trophies in the Jamaica Moves Top VIP (visually impaired person) and Guide Duo race category from Minister of Health, Dr Christopher Tufton (left) and Alfred 'Frano' Francis, director of Running Events Ltd at the prize-giving ceremony for the first leg of the 5K and 10K event on Sunday at Hope Gardens. 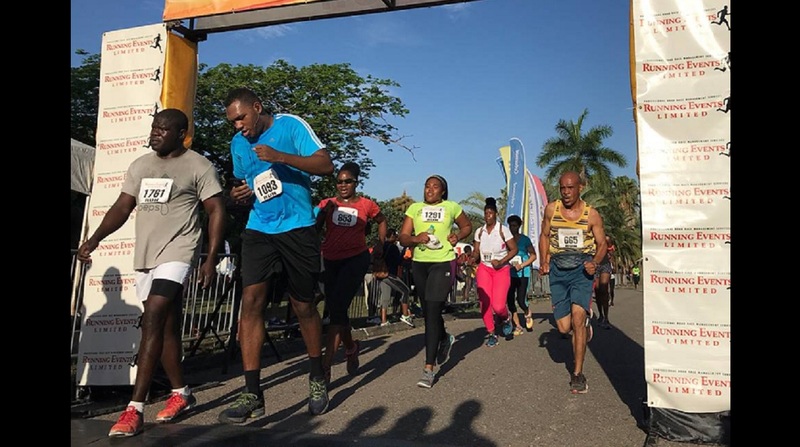 Running Events Limited says it drew more than 2,300 entrants on Sunday for the first leg of the Everyone’s A Winner two-race series at the Hope Gardens in St Andrew. It represents the highest number of entrants in the eight years of the event and a 47 per cent increase in the span of one year, the company said. 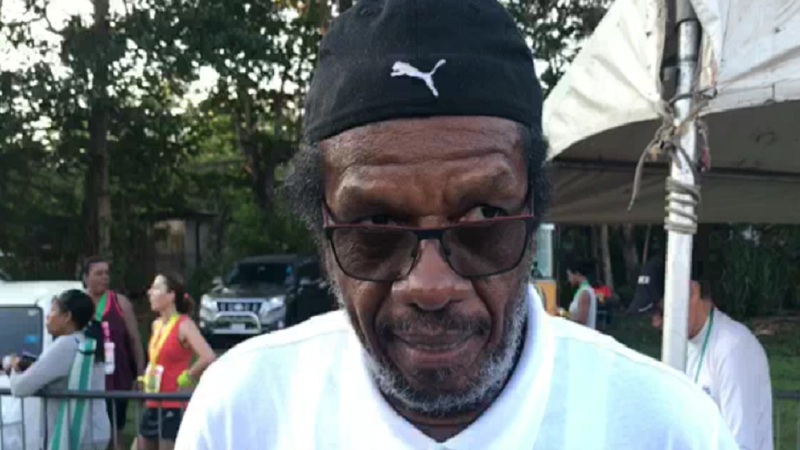 ‎According to Race Director of Running Events, Alfred “Frano” Francis, the record turnout represents a strong sense of social responsibility and health consciousness. “We made a call for support to aid the Jamaica Society for the Blind (JSB) and people answered. We are truly grateful,” stated Francis in a news release. 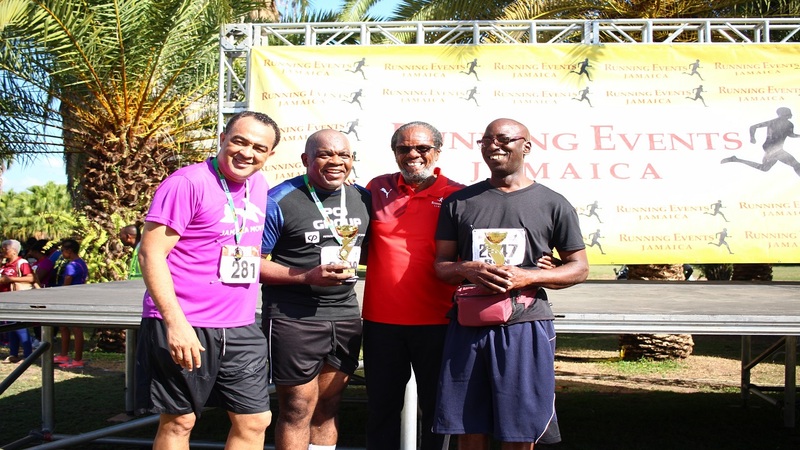 “From the launch, the response has been extremely positive, the Ministry of Health donated $250,000 to the cause and the Minister himself [Dr. Christopher Tufton] gave $50,000 towards prizes for the blind participants and their guides,” Francis said. The event continued to expand the pool of distance winners with new title-holders in the 5K run, 5K walk and 10K run. UCT Steppas Garfield Gordon ran a blistering time of 14:57 to be the first person across the finish line and to take top honours in the Male 5K Run category. Kemar Leslie of Rainforest Seafood took second place in 16:25, while Jerome Kirby came in third, stopping the clock at 16:57. Juliette Pommels crossed the line in the shortest time in the Female 5K Run category (23:25) to secure the top spot. Maureen Robinson of Pacers Running Club followed her in second place with 23:56. Fourth-year medical student at University of the West Indies, Anna-Kay Edwards clocked 25:08 to claim third place. In other categories, Duwell Allen’s strong gait took top honours in the Male 5K Walk category with a time of 24:44. Lenworth Hunter finished second in 27:17 and Christopher Maxam copped third place in 27:36. 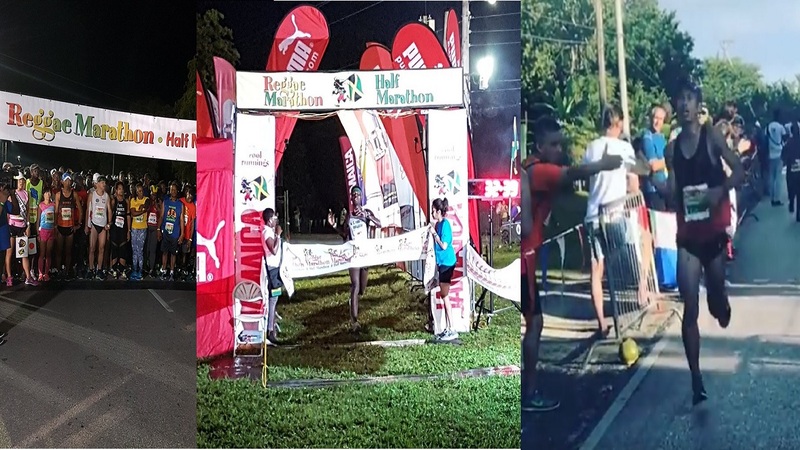 While in the female equivalent Paula Sinclair secured the crown in 31:55 beating Anna-Kay Swaby and Kenecia McDonald in second and third with times of 32:29 and 36:13 respectively. Janetta Robinson of Pacers Running Club topped the female 10K runners with a time off 47:12. Kelly Ann Beckford of UCT Steppas placed second in 49:47 and Mayumi Iwao, a Japanese Reggae Marathon ambassador for her second participation in the annual series in Kingston, placed third in 51:07. In the male category, Oshane Archibald dominated with a time of 33:27. Ryon Chambers crossed the line in 35:54 for second and Henry Thomas of UCT Steppas placed third in 37:12. In the Jamaica Moves Top VIP & Guide Duo, 15-year-old Tevin Blake and guide Yoko Yamada came out on top; with second place going to Senator Dr Floyd Morris and guide Donovan Jacas and third place taken by Daniel Garvey and guide, Damaine Riley. UCT Steppas copped the 5K Run Team Championship, followed by the largest group Rainforest Seafood in second place and Fitness Zone in third place. “The race has truly been able to put a spotlight on the needs and capabilities of the visually impaired and blind community; and the public did not turn a blind eye. They wanted to effect change and the turnout is a reflection of that. From our side, we [Running Events] are happy to announce that we will have the Jamaica Society for the Blind as charity partners for this race for the foreseeable future. This is not a one-off partnership,” Francis said. “I must also thank the Jamaica Moves team who partnered with us to make this the first run of the corporate series, and boosting the visibility and overall participation in the race,” he added.